Stack of 100% ground Australian beef patty, beef bacon, melted mozzarella & onion rings on homemade charcoal bun, served with coleslaw & potato wedges. 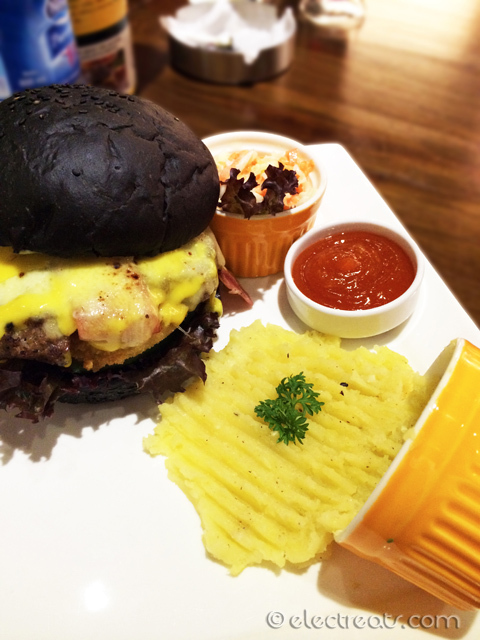 One of the best burgers in Jakarta. A masterpiece.